The major motion film American Sniper is a blockbuster hit based on the #1 national best-selling book about U.S. Navy SEAL Chris Kyle, American Sniper: The Autobiography of the Most Lethal Sniper in U.S. Military History. Even Clint Eastwood, the producer of the movie, says you must read this book! Clint says: "Chris Kyle tells his story with the same courage and grit he displayed in life and on the battlefield. 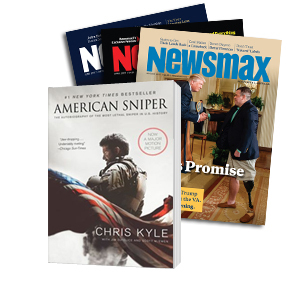 American Sniper is a compelling read." This book, the companion edition to the movie, is selling out of stores. World-renowned U.S. Navy SEAL Chris Kyle recorded the most career sniper kills in U.S. military history from 1999 to 2009 during his tours of duty. His fellow American warriors, whom he protected with deadly precision from rooftops and stealth positions during the Iraq War, called him "The Legend." Meanwhile, the enemy feared him so much they named him al-Shaitan ("the devil") and placed a bounty on his head. Kyle, who was tragically killed in 2013, writes honestly about the pain of war — including the deaths of two close SEAL teammates. This book also includes moving passages throughout its pages from his wife, Taya Kyle. Taya speaks openly about the strains of war on their family, as well as on Chris. This latest edition includes bonus new material from Taya about the making of the American Sniper film.